Dolomitenkönig - its name comes the legendary King Laurin, the protagonist of local, enchanting, mythological tales - is a noble, soft-textured, cutting cheese. It has a full flavour with just a dash of sweetness and a light yet original hint of walnut. 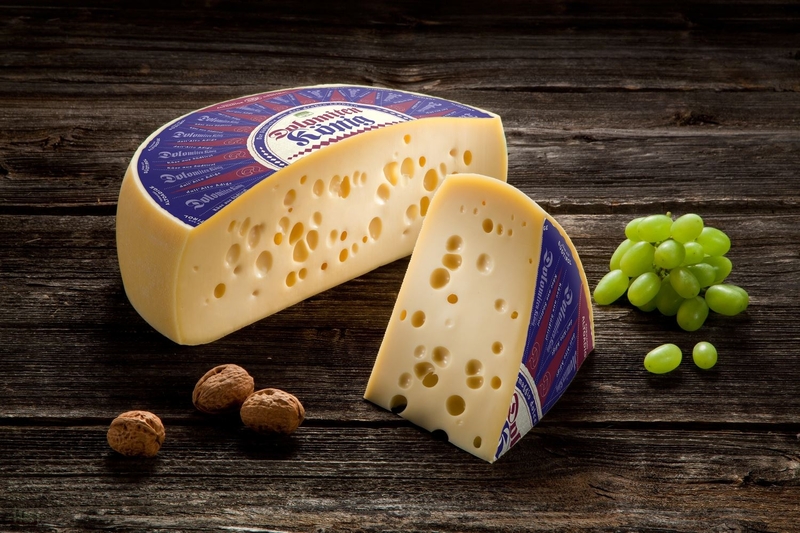 Made exclusively using the high-quality milk of Pusteria Valley and following an ancient local recipe, its characteristic feature is its slightly convex shape and unmistakable holey texture. Buy now this product together with Burgeiser Classic Cheese Dairy Burgeis approx. 1 kg. ready for shipment: in stock Burgeiser Classic Cheese Dairy Burgeis approx. 1 kg. Вкусный сыр, сладковатый сливочный вкус. Буду брать теперь постоянно. Мука отличного качества. Домашний хлеб в печке наилучшего качества. Цвет слега желтый.